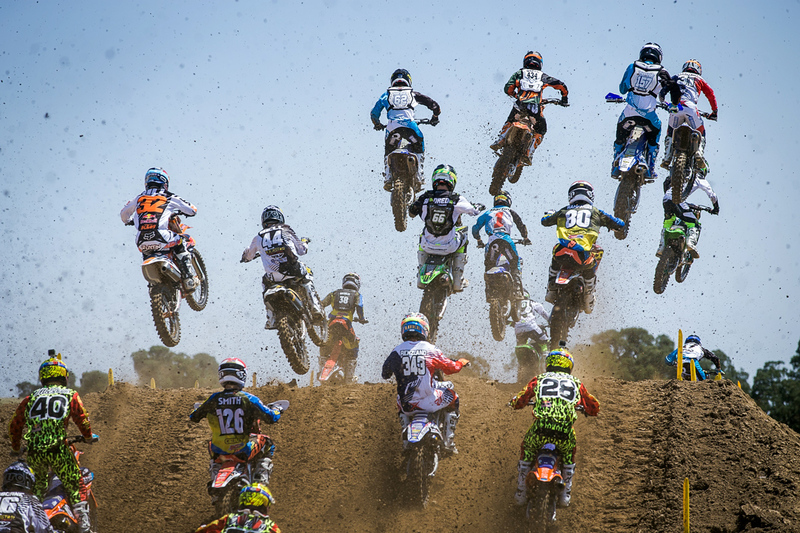 The first lap of a professional motocross race is arguably one of the craziest sights you'll ever see. While we were up at Hangtown this year, supporting Sean Collier and enjoying the racing, Brendan Lutes snapped this of the 250 class hitting the first jump on the track in the opening moto of the day. It's one of those photos you can stare at for a while, checking out each racer and the chaos captured in one frame.